VBACs (Vaginal Birth After Cesarean Sections) have received a great deal of attention in the media recently. Chicago Tribune Article by Julie Deardorff. The issue is whether enough VBACs are attempted or if patients are being adequately informed of the risks and benefits. AMA code on informed consent states; "The patient's right of self decision can be effectively exercised only if the patient possesses enough information to enable intelligent choices. The patient should make his or her own determinations on treatment. The physician's obligation is to present the medical facts accurately..."
What are the risks and benefits associated with VBACs? Uterine rupture (incidence less than 1%) has been associated with fetal death, as well as severe neonatal neurologic injury." For those of us who counsel patients on their treatment options regularly, reciting a laundry list of the risks and benefits is rarely ever the end of discussion. Understanding risk is a complex issue. 1 in 200 chance of uterine rupture with VBAC? How many patients or physicians understand what that means? Is it ever an understandable concept without context? What provides context is how important the risk is to the patient and the provider. A mother who truly believes in the importance of vaginal delivery may perceive the risk as small. Another, who may have had a long painful labor followed by a cesarean section during her first delivery may feel otherwise. Family, friends and coworkers all help to provide context. And how about the providers? Perhaps we all agree that an experience with a bad outcome should not taint consent discussions with a patient. But how can we escape the reality of these experiences whether they were as a result of a VBAC or too many cesarean sections? Incorporating these into our counseling while avoiding bias is a delicate balance. "Experts point out that although the attempt (VBAC) carries a risk of uterine rupture, the chance it will happen is relatively low: 0.5 percent. Meanwhile, C-sections carry all the risks of a major surgery. Compared with having a vaginal birth, a woman delivering by C-section experiences more physical problems, longer recovery and more emotional issues on average, studies show. 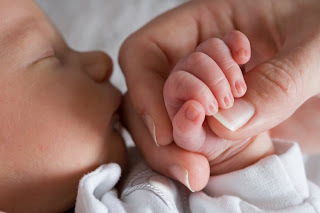 Research also has found babies born by cesarean are less likely to be breastfed and more likely to experience breathing problems at birth and asthma as they get older." This is a paragraph from the Chicago Tribune article I quoted earlier. I have highlighted two areas comparing the risks of VBACs to repeat cesarean sections. The way the information is presented is neither complete nor true to the spirit of informed consent. Clearly I realize that the media is not held to the same standards. I would also consider irresponsible highlighting the disagreement between a patient and her provider that in this case led to a good outcome. Those outcomes are statistically more common and they should not be represented as an endorsement of one treatment plan over another. And I would have protested as strongly if the only case discussed was of a uterine rupture that led to a baby's injury. A couple of weeks ago I was giving my son advice on how valuable "time" was and how it was one of the most precious things in life. He looked at me, shook his head and pronouncing each word slowly said, "Oh daddy... you and your legends!" I think he meant that I should stop blethering. "After thorough counseling that weighs the individual benefits and risks of VBAC, the ultimate decision to attempt this procedure or undergo a repeat cesarean delivery should be made by the patient and her physician."